Jon has never been a follower. Very much his own man, he has never being swayed by trends or fashions. Preferring instead to challenge and ask questions of what’s going on around him, Jon’s output has remained unique and interesting right from the start. Experimental at times, but always matured and versatile, he has remained a highly consistent producer and DJ. Throughout his career, people have gradually begun to come around to his ever-evolving sound despite the fact that typically, he hasn’t changed his ideals throughout. A few of the production techniques have changed along the way and the quality has enhanced but it has all been carried out with the same intent. Constantly adapting and evolving, Jon has never been afraid of experimenting and bounces off ideas as he looks to make music sealed with a stamp entirely of his own. That tireless work has paid dividends, particularly since the latter part of 2008 which has really seen a turn in Jon’s career. Intec founder Carl Cox has always been a staunch purveyor and strong supporter of both Jon’s production work and DJ ability, but his appeal has since reached a wider range of people. Jon’s music has always been heavily supported but more recently, it is being hammered by stalwarts of the scene from Richie Hawtin, Loco Dice, Ben Sims, Adam Beyer and Nic Fancuilli to Joris Vorn. Releases on Intec, Pornographic, Suara, MB Elektronics and Rawthentic, Jon’s continues to put releases out on his own Etch label. Every EP has gone Top20. The label is the result of a pure desire to get his music out there and push the tracks that he truly believes in. The defining moment for his releases has to be in the summer of 2011 though when Jon’s Intec release ‘Knick Knack’ knocked the Mark Knight remix of Florence & The Machine’s cover of You Got The Love off the coveted No1 spot for 6 weeks. 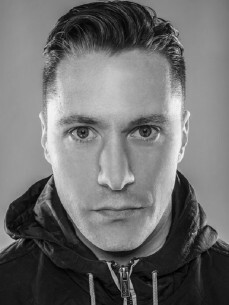 Remix requests allude to Jon’s broad appeal, with a Moby remix completed for his remix album, equally impressive remixes for Carl Cox’s album and for Paul van Dyk’s ‘In Between’ album followed. Jon has even turned in a Latin Gilles Peterson remix. His other remixes have appeared on the likes Bush, for whom Jon’s remix of “Man Alive” by Devilfish helped the track reach the No1 spot in Beatport’s Techno chart for a massive 6 weeks and a No2 in the main chart. Jon’s DJ sets have always won him great acclaim. From his previous Sunday afternoon residency at The End in London to headline sets across the globe, Jon has always understood how to play to people properly. A highly adjustable and adaptable DJ, he displays an astute awareness of how to get the crowd going, reacting and responding to the atmosphere by playing key records at the right time to pick the crowd up or take them down again. Having already toured Europe extensively, last year saw Jon being invited to many places for the first time. Equally at home in more intimate venues as he is in large main rooms, Jon has performed at Matter in London, Koko, Air, Sankeys, Privilege and Space in Ibiza , Guvernment in Toronto, LeShowcase in Paris, Fabrik in Madrid, F135 in Fraga and Cielo in New York in addition to tours of the US and Australia. His festival appearances include Global Gathering, Dancevalley, Big Day Out, Future Music Festival, Ultra Music Festival, Sonar, Creamfields, South West Four, EH1, Zurich’s Street Parade and Belgium’s huge Tommorowlands, in addition to a mini residency at Space in Ibiza. Its also for this very reason that Carl joined Jon for a back to back session at the infamous Warung in Brazil in 2011 and asked him to close his own Space night on a Tuesday for 4 hours, something no other DJ has ever done. This year Jon will launch the Intec residency in London that also brings with it the mixing of the Pure Intec 2 compilation alongside Carl Cox. Set for launch in April it sees the start of many a night back in the capital displaying a love of all things techno and putting Intec further on the ground breaking map. Jon has just stuck to playing and signing good music that he truly believes in throughout his career. He has stuck to his guns - a decision that is now working in his favour, enabling him to play to more and more people each year.